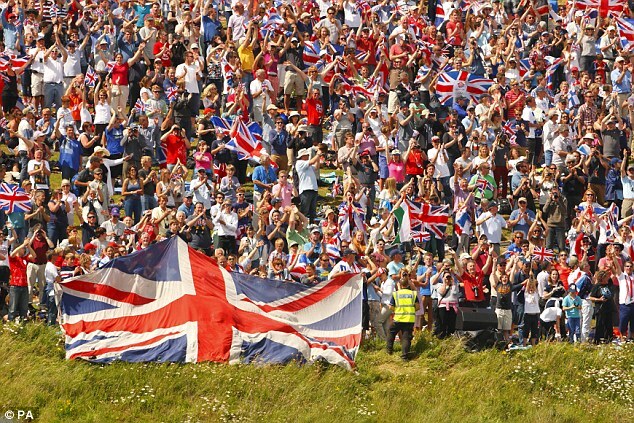 Olympic fever has well and truly swept the UK, and I have been swept up it as well, we have done sooooo well and I feel with The Jubilee and the Olympics this year we have reignited Britishness, something we will touch on in the next post. What better way to end a fabulous Olympics, whilst also getting ready for the paralympics, that with the biggest girl band ever… The Spice Girls! Funnily enough I was just reminiscing with my mum the other day on when me and Kate, my little sister, first saw them. We were at a trade show, where my mum was working and a stall was showing there video, we were completely hypnotised and hooked from there on in. 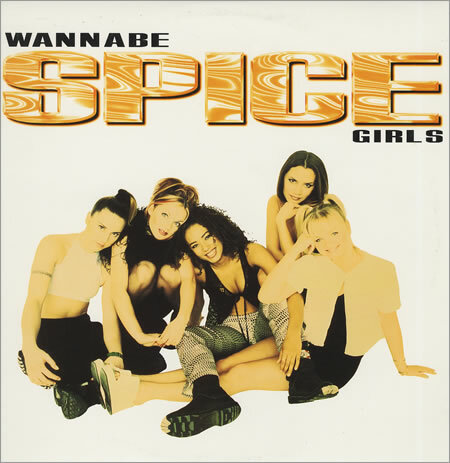 We had in all every single, album, t-shirt, poster and anything else that had Spice Girls on it. I would like to make clear I was only in primary school, lets say 11. We have also seen a massive rise in 90’s fashion this year with backpacks, denim jackets, leather skirts, crop tops and Tie-dye. So are you ready to Spice Up…..
You can’t think 90’s without thinking of crop tops, this is a classy version its draped front and short sleeves it would look AMAZING with leather trousers! The Denim Jacket screams 90’s! Everyone had one and is getting one again. This one had a mock sheepskin lining to keep you warm in winter. Sporty Spice eat your heart out! 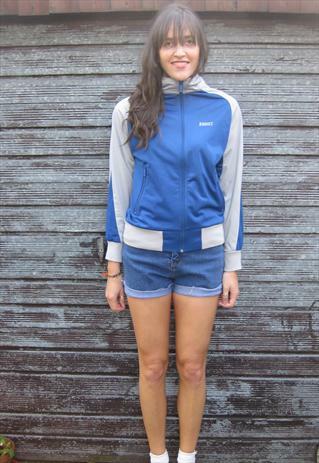 This 90’s Addict Vintage Sports Jacket has a funnel neck and two tone colour perfect. Scary spice wanted to be seen, she loved bold prints and bold colours. 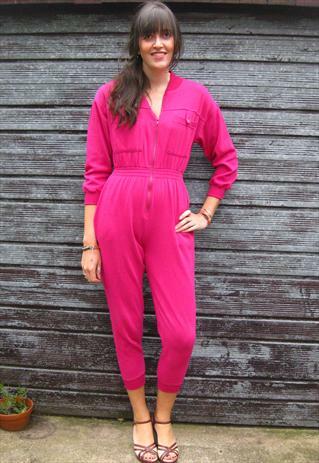 This jumpsuit is perfect Scary Spice outfit. Geri made the Union Jack dress infamous, for good or bad, its not something that I would wear out, everyday, but its perfect for this summers event and that’s why it gets the main shoot on the homepage of our boutique. Its so funny looking back on these photos now, when i was 11 I thought they were soooo cool and loved how they all had there own “style” lol, Posh was my favourite! Who was yours?